Like every other business process, SEO is evolving continuously in order to meet the new technological tendencies and user behaviours. You have to be well aware of these changes if you want to keep the positive impact on your website. 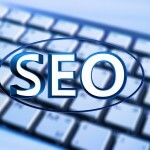 That is why today we are going to share with you the latest SEO trends which experts have defined. Read carefully the next lines and think about what you can do to improve your strategy for online visibility. Focus on topical content – there were times when most pages were optimized with a single all-important keyword. However, it will be a big mistake for you to continue doing this. You should make your content topical by using a collection of semantic keywords. What does this mean? Well, Google has improved in understanding the topic represented by a collection of words and doesn‘t rely entirely on things such as title, H1 heading, etc. For example, if a certain page consists of words like ‚temperature‘, ‚season‘ and ‚humidity‘, it will be pretty much clear that its main topic is the weather. 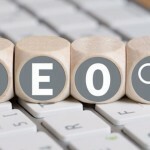 But without ignoring the Meta Data – many SEO experts have tested the significance of Meta Data as a ranking factor. The results were various and often completely opposite. However, you shouldn‘t ignore the Meta Data. Remember that it is the snippet of content which shows up on the SERPs. And it is also the description that can be seen when the page is shared on social media. Facebook, Twitter, etc. – talking about social media, we have to say that it is going to be a major traffic source in the future. Just think about how much activity and engagement occurs on Facebook daily or weekly. Social media provides many opportunities for your business and you‘d better use them in the best possible way.